The Federal Executive Council on Wednesday approved the establishment of two new private universities in the country. The decision was taken at the weekly meeting of the council, presided over by President Goodluck Jonathan. One of the new universities is Edwin Clark University located in Kiagbodo, Delta State. 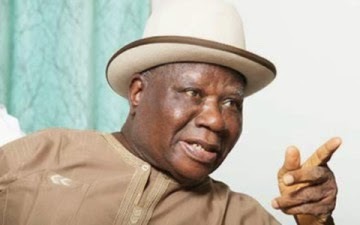 The university belongs to Chief Edwin Clark, an Ijaw leader and major supporter of the President. Clark was also a former Federal Commissioner of Information in the First Republic. The Minister of Information, Patricia Akwashiki, announced the approval for the new universities during the post-FEC press conference in Abuja. Akwashiki also named Hezekiah University, located in Umudi, Imo State, as the second private university approved by the council. She said, “The Minister of Education tabled a memorandum to seek the council’s ratification of the President’s anticipatory approval for the issuance of provisional licence for the establishment of Edwin Clark University, Kiagbodo, Delta State. “The establishment of Edwin Clark University will address the inadequate access to university education and enrolment of students in excess of the carrying capacity of the universities. “In addition, the establishment of the university will also address the development challenges of the Niger Delta in particular and also the wider global community as a whole.